Are Schools Just Churning Out Grads? Many people would say yes. The Independent and The Times Higher Education think that schools and universities aren't doing their job. Thanks to grade curves and students being treated as customers, teachers are being forced to pass students that don't deserve to pass. Business Insider has an article about how As aren't what they used to be. Teachers that try to stand up for what they believe in are quickly shot down due to student evaluations and not renewed. It's up to the admin to change this. Their goal should be to create better teachers who can in turn teach their students the best they can. They need to realise that quality is more important than quantity and graduates are products that reflect the quality of teaching. It's taken me a while, but I've finally got packing down to an art. I don't have to ship items, re-pack my luggage at the airport, or worry about weight. Here are some of the best packing tips I've learned over the years. Howdini and Heathrow Airport also have some good packing tip videos that tell you how to pack a suitcase. I'd always over-pack when I went home for the summer. I'd bring way more than what I needed. Figure out how to coordinate your clothes. Leave all the little extras; chances are you won't use them anyways. Going home for me means relaxing. I don't really need to dress to impress. I'm on vacation. I bring old clothes. Things that I don't mind donating to charity when I leave. Nowadays you can find most things that you need where you live or online. Natural beauty products and food can be found on iherb (up to $10 off your first order (Code: LNQ216)). Ebay is also good for buying things, though shipping from places such as Hong Kong may take a while. ASOS is good for clothing and they have free shipping. There might be local groups where you can buy things. Korea is a very transient community and there are a number of FaceBook groups where people sell new or used items. Craigslist is also popular here for buying things. I buy most of my clothes from Europe so shipping is international anyways (US vs Korea). I prefer to have things shipped to Korea since the Korean post office has much cheaper shipping than the USA. This way if I want to return something I'd spend far less than if I'd ship it from the USA. There are also mail forwarding services, such as Mall Tail or Ship2Korea that can help keep shipping costs down and save on suitcase space. I find that weight, not space is often what people have to worry about. Vacuum bags don't help with this. They create more space, but allow you to put more weight than you normally would into your suitcases. I bring full sized items, but make sure there isn't a lot of product left. This way it takes up space going there and I can leave it behind when I come back. It's a nice touch and they take up space in your suitcase on the way there. You'll have to bring less clothes and it's less bulky than winter things. My goal is to be able to fit all my clothes and my daughter's clothes into a backpack. One suitcase has gifts and things that I'm going to leave in the USA, such as crafts my daughter made or important documents. The other suitcase is empty. 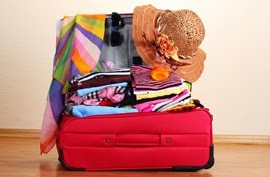 You can also bring an empty carry-on bag which will allow you to take more back with you. Be careful though, some airlines weight carry-ons. I only go home once a year, but I still leave clothes behind. I have a couple days' worth of clothing at my parents house that I wear when I go back. I start making my shopping list the day I get back to Korea. Over the course of the year I can see what I really want to buy when I'm back in the USA. Somethings I'm able to get online, other things people buy for me when they go home, and other things I decide I don't really want. By doing this I'm sure I'll only get things that I really want. Whether you’re fresh out of college or experiencing a mid-life crisis a passport from a major English speaking country, such as the United States, enables one to cash in a “Golden Ticket”. That “Golden Ticket” enables an individual to teach English almost anywhere in the world! I was suffering a mild mid-life crisis myself and was looking for a way to combine my love of travel and helping others. My name is Patrick and I’m from Green Bay, Wisconsin and in 2008 I decided to come to South Korea at the age of 45 to teach English. I teach children from the ages of 8 to 18 at an English Academy called a “hogwon”. I teach English 30 hours a week and receive great benefits such as; good pay, two week vacation, free flight, free apartment, cheap utilities, affordable health-care and a great life style! That is why one year teaching quickly turned into four years and after a quick year in America to deal with some personal tragedy I came back to South Korea to a life I have grown to love. I recently just decided to stay another year. I will be here at least until May, 2016. Over the years I have met many people from all ages and different countries and the one thing we all have in common was wishing we would have cashed in that “Golden Ticket” sooner! So, whether you’re looking to pay off some college loans or fill in a gap year why not seriously think about teaching English overseas. I will post again soon and if you have any questions feel free to contact me by e-mail. 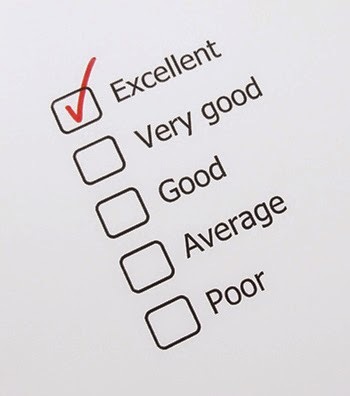 What Should be the Standard for Evaluations? Both teachers and students are evaluated, but many times different standards are used. At many places where I worked students were given letter grades. When it came time for students to evaluate teachers, they would evaluate them on a number scale. Students are familiar with letters and may think differently when dealing with letters. Admin should decide on one standard of evaluation and use it for both students and teachers. Even within letters and numbers, there are a number of possibilities. By sticking with one method, it will ensure that grading is fairer for all parties involved. The following post is from a guest blogger from Steve Schuit at Korean Bookends. The questions were unfailingly predictable: What’s your name? Where are you from? What university did you graduate from? What was your major? They came in rapid succession. It was the start of my very first semester here in Korea and almost every student was asking me the same questions. That observation was not lost on me. “Wow,” I said to myself, “there’s something to this.” It didn’t take long for a self-induced wave of humility to cascade through my body. My country wasn’t the center of the universe? I began to unravel some 22-years of misguided self-importance that had been grafted on to my world of presumptions. No matter where you are from, it’s not likely you have 5,000 years of history backing you up. More than just ancient history, according to Daniel Tudor, author of Korea: The Impossible Country, South Koreans have produced the most impressive story of nation building in the 20th century. And besides, humility goes a long way here. Tip #2 Learn the language. You hop in a cab, patch together a few words of the native language, telling the driver where you want to go. Only thing is, you said you wanted to go to the train station. That’s where he took you. You meant to say, the local subway station. He’s confused. You’re frustrated. Make the time to study the local language--even if you’re exhausted from all the teaching you’re doing. Learning the language helps provide part of the necessary tool-kit for navigating life in your adopted country. Learning Korean opens the window to a better understanding of this incredible culture. Tip #3 Cultivate friendships with both Koreans and other expats. Studying Korean, especially when done in traditional classroom fashion is a great place for meeting others. In my recent Korean language classes I was both the only American and the only professor. Befriending the owner of a local coffee shop or dry cleaners may lead to a weekend hike in the woods. Joining an area club or organization (running, paintball, softball, or traveling) is a great way to make friends and enrich your expat experience. Tip #4 Avoid thinking you can change the system. By now you’ve heard all about the crazy drivers, the antiquated customs, the lousy weather, the seemingly ridiculous approaches to managing people. Guess what? Get a grip. It ain’t gonna change. And, more importantly, it’s not your culture. Tip #5 Avoid Korea bashers. Yes indeed, misery loves company. Finding flaws and faults can easily become contagious. “Red flag” this dynamic as soon as you notice it. Take two steps back. Find colleagues and friends who have a more balanced view of their experience here. Korea is not a perfect place, but it does offer a world of mostly pleasant surprises. For most people, even those who experience a few early “speed bumps,” Korea provides more than its share of spectacular memories. Tip #6 Keep developing yourself professionally. My current employer requires each faculty member to have an ongoing plan for professional development. You can do research, observe other teachers, attend conferences and write reaction papers, or give presentations to colleagues at regularly scheduled staff meetings. There’s a good message here: standing still professionally is not OK. There are many ways to become a better teacher--whether it’s through joining KOTESOL, becoming part of an acting troupe, taking traditional Korean art classes, or doing yoga. Tip #7 Be an ambassador. You didn’t join the Foreign Service when you decided to become an ESL educator. That’s true, but for better or worse, you are an ambassador. You represent your country in the eyes of your students, your Korean bosses and colleagues, and to Koreans at-large. Many people don’t welcome such an appellation bestowed on them without their consent. Totally understandable, but it comes with the turf. In fact, how you behave is not only a reflection on you, and your country, it is also a reflection on all foreigners who are guests here in Korea. Recently, a fellow former Korean Peace Corps volunteer mentioned that he thought there was much evidence to suggest that a stint as an ESL teacher can be an invaluable “Part 1” in preparation for the adventure that is life. For others, an extended tenure as an ESL teacher can, as in any profession, lead to burnout. Tips for success aside, inertia can be an intoxicating trap. Staying fresh, on top of your game, motivated, and most importantly, in service to your students, is a timeless and worthwhile challenge. Losing one’s humility may be like the canary in the coal mine—an indication that it may be time to check things out. The author, a professor and business consultant, returned to Korea 36 years after serving there as a Peace Corps Volunteer. Posting on the blog "Korean Bookends," he shares his reflections as an expat living "now and then" in Korea. Steve joined the Yeungnam University faculty in 2012. 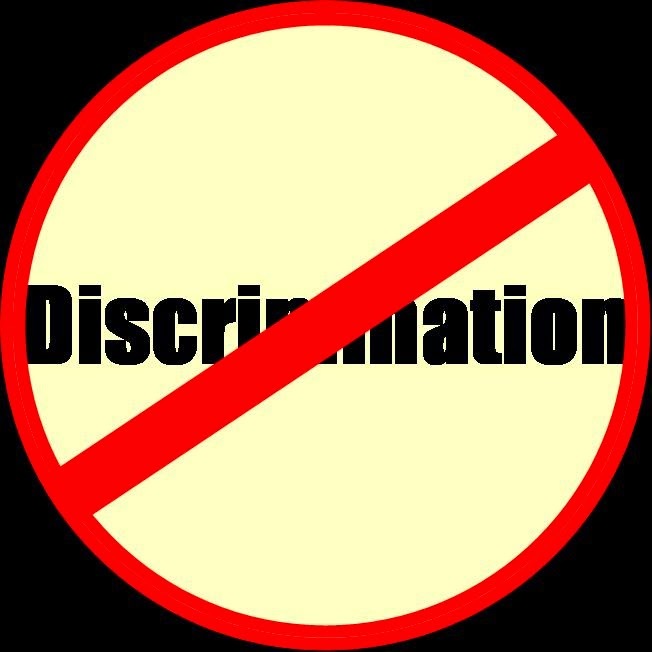 I've previously written about different types of discrimination in TEFL. There's lookism, ageism (too old or too young), sexual orientation, racism, and sexism. Name discrimination also comes into play. If you have a first or last name that may be perceived as foreign, be prepared for prospective employers to ask you about it. I've been asked more times that I can count how I learned English due to my last name. English is my native language. My last name changed due to marriage. I know that because of it I have lost out on interviews. That's ok. I don't mind. I'd rather not work for people who are biased. The same thing happens back home. The Huffington Post recently wrote about a man who dropped one letter from his name and got more responses from his CV he sent out. He went from Jose to Joe. What Do You Mean You Don't Teach Writing? A few too many English teachers in South Korea rely too much on speaking activities to reach their academic objectives. I’d like to spend a few moments writing down complimentary teaching strategies to help those speaking-only instructors broaden their approach to language teaching. First I’d like to begin with some mild criticism to those who feel we are here as English mascots. Some people who think we are here just to “entertain the troops” may also think extending our approach to learning beyond speaking activities is unnecessary. I hope that mindset has dissipated over the past few years as a result of the influx of more qualified teachers as well as the increased professional requirements by hiring institutions. In the past we should have fought such ideas even if they were true, if not just for the sake of having self-respect. I have taught extensively, more than I’d like to admit, at all levels of EFL. In no case was my relevance anything more than what I made it. This is true from the tertiary level to kindergarten, especially kindergarten since we have the opportunity to create, or break, stereotypes at such impressionable ages. Let me get back to the point. We shouldn’t rely solely on speaking activities, but combine in-class speaking activities with at-home writing ones. It’s a simple concept and one so poorly grasped by EFL instructors. As teachers, we are so easily turned off by the idea of assigning homework. Why should we? Students don’t review it, many schools don’t ask us to do it, and/or we don’t get paid enough. There is one simple reason. It works. You’re wasting your time with EFL teaching if you don’t give writing assignments and follow up with corrective feedback. We’re English teachers for Christ sakes so why wouldn’t we assign writing homework? I’d like to pick apart a few arguments I can think of as to why we wouldn’t want to assign writing homework. Perhaps you can add a few when this thing gets posted. Please be gentle. I teach speaking not writing. Wrong! You teach speaking, writing, listening, and reading. These are not linear concepts with one more important than the other. 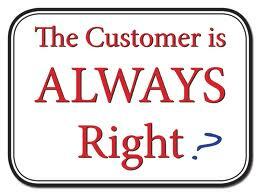 You absolutely are a writing instructor no matter what your hogwan owner, director, or supervisor tells you. Chances could possibly be that you know more about language education than they do. You are limiting your pedagogical teaching power by taking the easy way which requires less work. And that’s the elephant in the room, work. Of course you will be giving yourself an increased workload if you assign writing homework, of course we are assuming you will be grading it (right?). It doesn’t do much good otherwise. And that brings me to the next argument. Students never read my feedback. Students, like most of us, only care about a few things and instructor feedback on their writing is not one of them. Of course they will not give a flute about your feedback. You shouldn’t expect them to. You also shouldn’t expect them to take your feedback and run home to place it in their feedback drawer. It’s not up to the student to miraculously develop organizational skills capable of filing, comprehending, and applying your feedback about their writing. It takes time. Teacher comments are not usually good, and if they genuinely were we’d be out of a job. Why on earth keep us here if they could all write. I’ve met plenty of speakers who can speak but can’t write, never the other way around. Logic dictates that we shouldn’t underestimate the value of writing skills. We live in a world that has technology like the Oculus. These are goggles you can put on and instantaneously be in virtual reality. You think in such a world we would be able to facilitate the organizational process, right? Perhaps we could use the Internet to store their writing, right? And just perhaps, we could give feedback about their writing using word processing technology, and store that feedback on the Internet. Then have them review their writing in class, and god forbid give them access to said stored writing. Just perhaps, it could be easier for us to organize and store both writing and feedback for all of our students than to expect even just a few of them to do if for themselves. After all, we are not organization teachers but EFL ones. That being said, please let me know why you don’t spend just as much time focusing on your students’ writing as you do their speaking. I can’t argue against the idea that by keeping our students’ proficiency low we’ll always have job security. You definitely win on that one. Contrary to what people may believe, there is no perfect place to teach English or live. Everyone has bad days and needs to complain once in a while. I live in Korea and am not married to a local. I've found that people who are married to Koreans feel like they're allowed to complain about Korea and people like me, who have fewer ties, are not. They can say anything and if you chide them, they'll tell you that they're stuck and can't leave because they married into the culture. If you complain about any one little thing, they'll tell you to leave. I have created ties in Korea. I have a job I love, my daughter was born here and goes to school here. She's fluent in Korean. I have friends, I do volunteer work, and get involved in the community. No normal person would tell a foreigner back home to leave. You wouldn't go into Chinatown and tell people if they don't like it, leave. The same thing holds true here. There is no utopia and sometimes it's better to stay with the devil you know. Everyone is allowed to have bad days and complain every once in a while. Self-employment can be tricky as a US expat. It’s difficult to know who the IRS actually considers self-employed and if you are classified as such, how will you be taxed? Expats often have slightly unique situations—such as working a full-time job and earning additional money ‘on the side’. So let’s take a closer look at the top 5 things you need to know if you are (or may be!) a self-employed American living overseas. 1. What is a self-employed individual? As a general rule, you are not treated as self-employed for US tax purposes if you are categorized as an employee. So this means that if you work for a foreign or US employer and are considered an employee, you are not self-employed and you do not need to pay self-employment tax. If you are self-employed, you must file a US tax return if your income exceeds $400 (yes, you read that right—only $400!). 2. What is self-employment tax? Essentially, self-employment tax is your Social Security and Medicare payments to the US. The current rate is 15.3% and you can pay these taxes at the time taxes are due or pay estimated quarterly payments throughout the year. Remember that if you are paying at the end of the tax year, you must pay any taxes owed by April 15th, (not the expat tax deadline of June 15th), as this is when penalties and interest begin to accrue. 3. Where do I make my Social Security payments? No matter how you earn your income, Social Security payments must always be paid to someone! You may actually be subjected to the dreaded dual taxation—meaning, you pay Social Security taxes to both the US and your host country. To prevent this, the US has entered into agreements with 24 countries that determine which country you pay Social Security to—so it is important to know if your host country has such an agreement and t also check the fine print! For example, the US-UK agreement says that if you’re self-employed and you only want to pay into the UK national insurance system, you actually have to volunteer or opt out of the US Social Security system. If you don’t do that, you’re still required to pay into both systems. However, in general, if you’re self-employed and working overseas you’ll pay into the US Social Security system. If you work primarily for a foreign employer, you’ll most likely pay into the system of your country of residence. 4. What if I earn money on the side? As noted above, if you are a regular employee overseas, you will not be taxed as self-employed. But that doesn’t mean your additional earnings are tax-free! While additional income doesn’t automatically classify you self-employed in the eyes of the US, you will still need to be report it on your Form 1040. And as you may have guessed, it is taxable in the US! 5. Can I exclude my additional income from taxation? The good news here is that your additional income will be included in your foreign sourced income, which may be excluded from US tax liability. Using the Foreign Earned Income Exclusion, you can exclude up to $100,800 from US taxes (in 2015). So as long as your total income doesn’t exceed the $100,800 threshold, you will not owe any taxes on the additional income you earn. 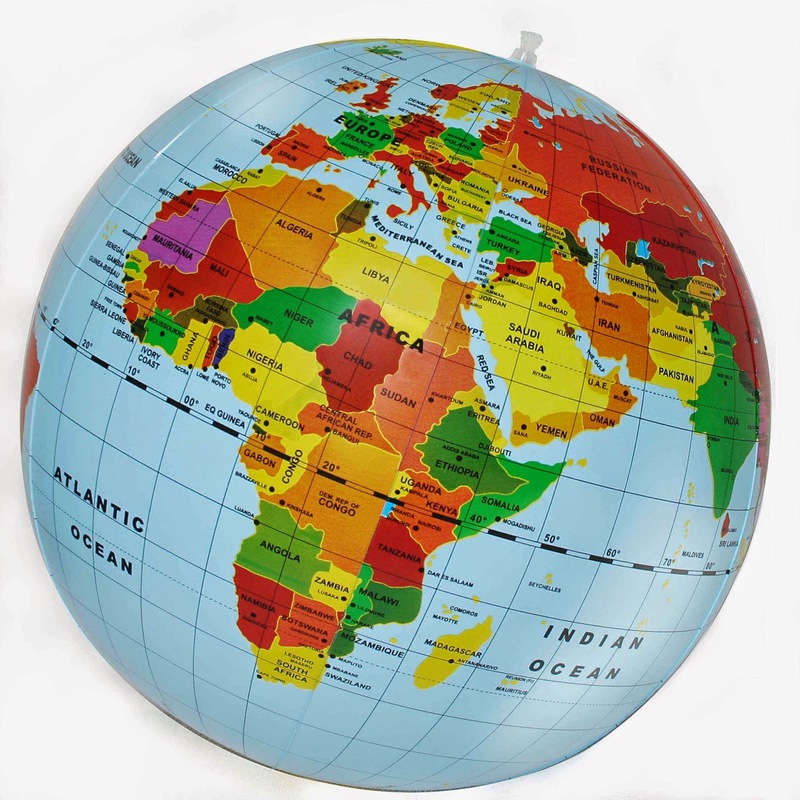 Remember that in order to be eligible to use the Foreign Earned Income Exclusion, you must qualify as a US expat by passing one of two residency tests: the Physical Presence test or the Bona Fide Residence test. Any additional money earned in the US or from a US source is not ‘foreign earned’ and therefore cannot be excluded with the Foreign Earned Income Exclusion. If you have any questions about your income, how to report it or what taxes you will be required to pay, we highly recommend that you speak to an expat tax professional. Failure to pay US taxes can result in steep penalties and excessive interest!